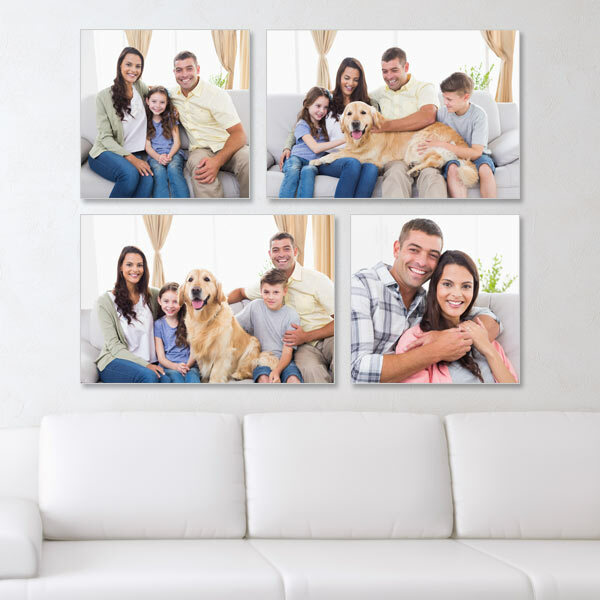 Hanging photos on your wall can be tricky if you are style-centric and want to keep your home looking a certain way, however adding photos to any space is sure to warm it up. 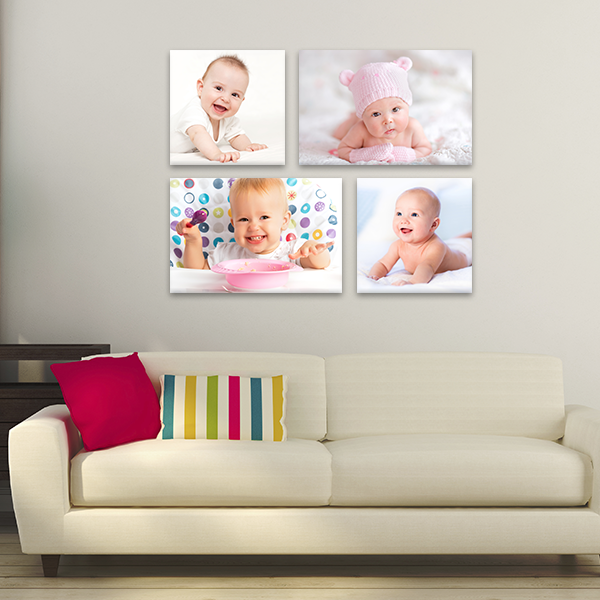 If you are trying to warm up a modern apartment or home, try arranging a set of canvas prints in a modern contemporary way, to both add interest and color to your space. Two horizontal and two square photos simply lined up. Add more photos to either side by repeating the pattern and warm a long wall or hallway.